Camping De Pampel es un camping en Hoenderloo, Güeldres, situado en el bosque. Este camping con terreno inclinado tiene plazas con cercos, con sombra, sin sombra y parcelas con algo de sombra. Cabe alquilar casas rurales y bungalós. El camping dispone de parque de recreo, parque de recreo de interior y de terreno de deportes. Para los excursionistas, el camping ofrece programas de excursión y varias rutas para bicicleta. Hay un programa de animación. El camping dispone de un parque acuático y una piscina cubierta con techo móvil. También hay un tobogán acuático. No tendrá que cocinar todos los días, porque en el camping hay snackbar, pizzería y restaurante (con una amplia oferta). En el camping podrá adquirir pan fresco. Es posible utilizar el internet, pues en el 80% del camping se puede navegar por internet con el ordenator portátil. Este inspector visita cada año al Camping De Pampel y lo inspecciona considerando más de 200 servicios y otros aspectos importantes. El inspector es un trabajador de ACSI y no trabaja para el camping. bar restaurant limited opening times . Pitch 315 was well worn considering it was early season . We loved this large site, set in the lovely woods of the Hoge Veluwe National Park near Hoenderloo village. Although it looked busy, we found a quiet pitch tucked away among the trees. The ACSI Card price was a bargain. It has excellent modern clean facilities. There is a heated indoor pool, as well as an outdoor pool, and cycle paths in all directions. The snack bar has chips, ices, etc and there is a more formal restaurant. My only criticism is that check-in took a very long time, handled by a friendly receptionist who had only just started the job. She had no idea about ACSI discount or how to pay by bank card and needed more training or supervision. I hope she has now settled in! Highly recommended, we\'ll be back. This a pleasant site and has good facilities. It is a large site but offers a good choice of pitch. We were there over a weekend and although the restaurant was stated to be open at weekends during the low season this was not the case. very clean and well maintained. The washing- up facilities were excellent. Toilets always clean. Pleasant staff. The deer at the entrance to the site are charming creatures. The shop's opening hours were sporadic. A very good well maintained site,staff where very friendly and helpful. Brand new toilet and shower block first class. Plenty of choice for pitches: large fields or individual amongst the trees, swimming pool was great. Plenty of cycle and walking paths around, would recommend to all. ¿Desea reservar u obtener más información sobre su camping Camping De Pampel? Puede hacerlo mediante los datos siguientes o a través de la web del camping. A1, sal. 19 Apeldoorn/Hoenderloo; en Hoenderloo, seguir dir. Loenen. O A50 Arnhem-Apeldoorn, sal. 22 Hoenderloo. Seguir señales de Hoenderloo. 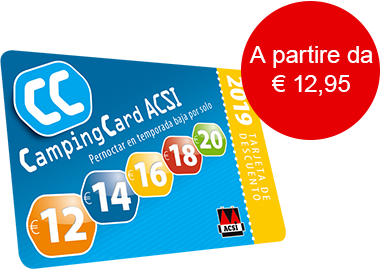 ACSI Eurocampings reenvía su solicitud de información al "Camping De Pampel".